Join Mariama Bramble of Brownbelle.com for a modern wreath making workshop. Learn how to make a variety of beautiful wreaths that are sure to make your home more holiday ready. 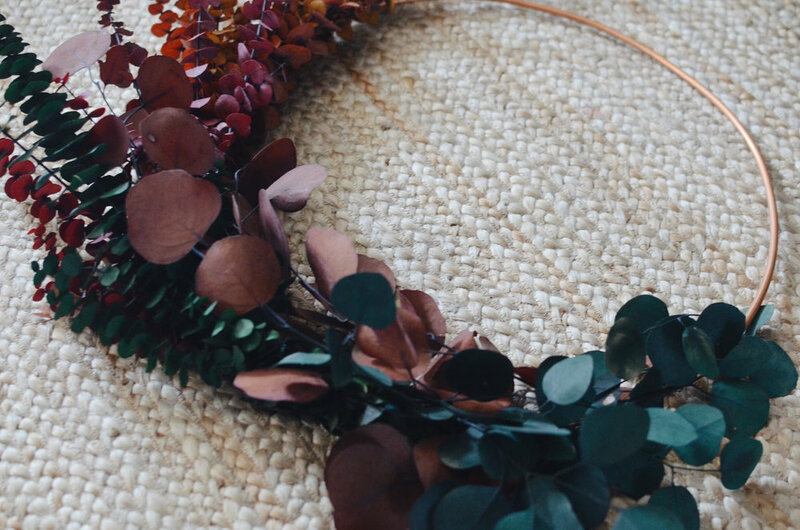 The workshop will include all of the materials to make your very own wreath to take home, including copper pipe for the base, various kinds eucalyptus, twine, and of course something delicious to sip on. Mariama is the founder of Brownbelle, the modern-day guide for elegant homemaking made simple, and a much-needed voice for homemakers and DIYers. Known for its simple and stylish food, drink, and decor tutorials, Brownbelle makes it easy for DIY and homemaking enthusiasts to curate lives full of entertaining, inspiration, and kickass experiences. Brownbelle has been featured on notable sites such as Black Enterprise and The Washington Post.